There is a big difference between fighting for America and fighting for democracy. According to the US military, putting your life on the line for the country is an act of courage. Voicing your political opinion, however, is an absolute no-no. 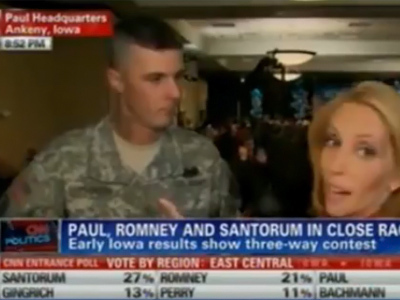 Before Ron Paul came in a close third at the Iowa caucus, CNN cameras caught up with Jesse Thorsen, a serviceman with the Army Reserves. As RT reported earlier this week, however, the live interview from Iowa was abruptly halted just as Cpl. 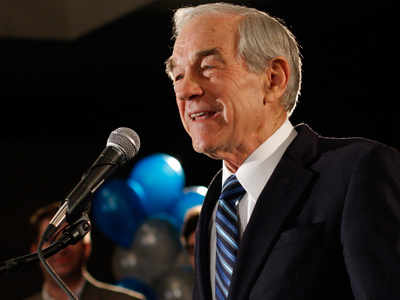 Thorsen began praising Ron Paul for his campaign for the Republican Party nomination and the promises he vows to make as president. Later that evening, Paul welcomed Thorsen onto the stage to finish speaking so the rest of America could hear his message of support that was aborted during the live broadcast. 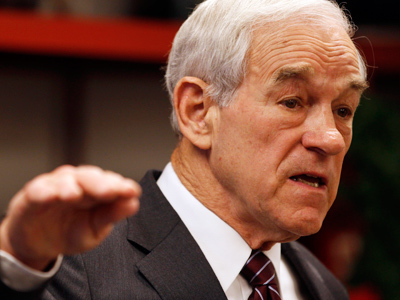 Supporting Ron Paul, says the Army, can be a bit of a problem. Attending a partisan political event while clad in military garb is a violation of Defense Department rules, says the Pentagon. 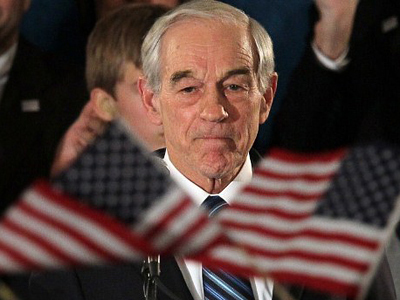 Although Thorsen was allowed to wear his uniform on the battlefield, doing so at Ron Paul headquarters on national television is against the rules. Now the DoD says that they are investigating the soldier as they determine how to handle the case. 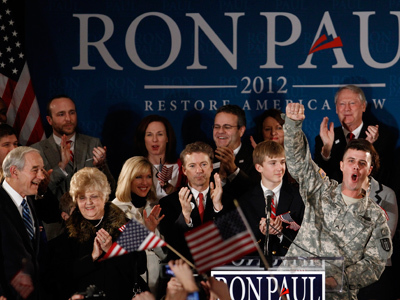 Thorsen shared on television live from Ankeny, Iowa during the caucus that Paul should be saluted for his stance on foreign policy, which affects him as an active duty soldier. "His foreign policy is by far, hands down, better than any candidate's out there, and I'm sure you all know that. We don't need to be picking fights overseas and I think everybody else knows that too,” said Thorsen. 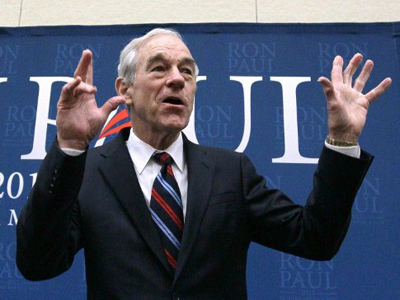 Paul has stood out among GOP hopefuls as the one candidate adamantly opposed to continuing immense and costly military operations overseas. The congressman himself served in the United States Air Force in the 1960s before entering medicine and eventually politics.